GIS provides locational analysis to the emergency management common operating platform. Redlands, California—Enabling Comprehensive Situational Awareness, the latest book from Esri Press, describes the benefits of integrating a geographic information system (GIS) with an emergency management common operating platform (COP). The book explains how enabling a COP with the ability to analyze location-based data gives emergency management directors the overview necessary to coordinate efforts across agencies and jurisdictions to mitigate loss during times of crises and disasters. 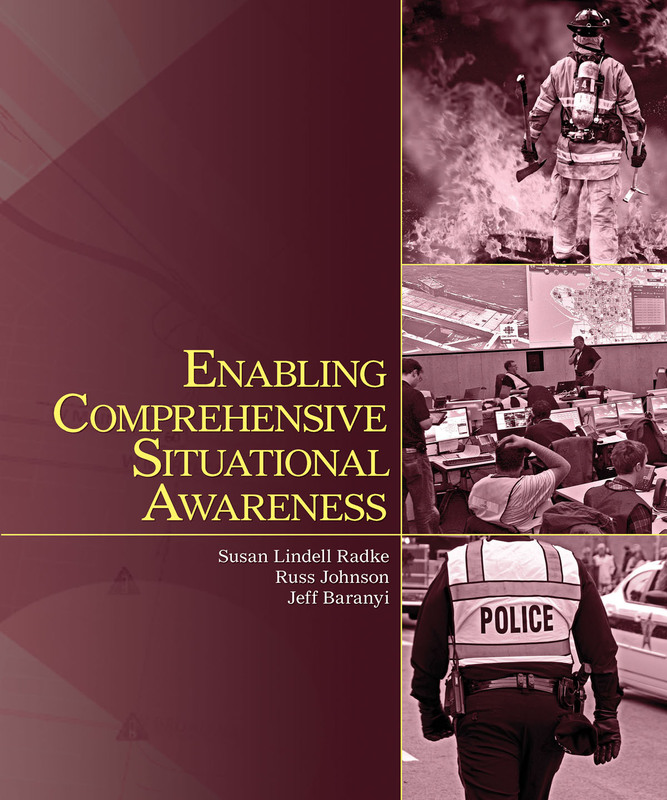 Enabling Comprehensive Situational Awareness was written by Susan L. Radke, founder and president of Berkeley Geo-Research Group; Russ Johnson, public safety and homeland security director for Esri; and Jeff Baranyi, Esri’s technical lead for the public safety market. Enabling Comprehensive Situational Awareness (ISBN: 978-1-58948-306-4, 204 pages, US$18.95) is available at online retailers worldwide, at esri.com/esripress, or by calling 1-800-447-9778. Outside the United States, visit esri.com/esripressorders for complete ordering options or visit esri.com/distributors to contact your local Esri distributor. Interested retailers can contact Esri Press book distributor Ingram Publisher Services.